Have fond memories of Uridium? Love shoot 'em ups? Hyper Sentinel [Official Site] is now out and it's pretty damn good. I'll be honest, I wasn't familiar with Uridium when I originally wrote about the Hyper Sentinel Kickstarter last year. It's very clearly inspired by it, even though the developer doesn't name it directly they do say it's a "hyper-charged love letter to arcade classics". Disclosure: Key provided by the developer to our Steam Curator. Even though it's clearly inspired by Uridium, it's not really a rip-off considering they had Andrew Hewson who founded Hewson Consultants (the original publisher of Uridium) provide an advisory role. I think it's great when games bring in people like this, it makes it clear they had a lot of love for the classics when developing Hyper Sentinel. I've actually enjoyed this one rather a lot, although it can be quite difficult. It's an incredibly hectic game even from the moment you warp into the first level it's brimming with activity all over the place. This is because each level is really quite small, as you strafe repeatedly between the borders of it hoping to catch a few kills. What makes it difficult, is that enemy ships will fly rather quickly across the screen as well. Once you manage to finish the main part of each level, you're greeted by a Guardian boss and each of them is different and challenging in their own special way. Since they each have their own behaviour, you might need to study them a bit before you're able to take them down. I spent waay too many hours on Uridium on the C64. Looks a little dated but still plays really well. Janne I spent waay too many hours on Uridium on the C64. Looks a little dated but still plays really well. There's already been a remake of Paradroid for superior machines: https://en.m.wikipedia.org/wiki/Quazatron . All joking aside, I'd forgotten about this one and suspect I'll be picking it up soon. I doubt my reflexes will be adequate these days but it looks like a lot of fun. Yeah, this is where us old-timers feel really old. I remember reading the development diaries of Paradroid and Uridium in Zzap! 64. More than 30 years ago. It might have been the first time that kind of thing had ever been done for major commercial games. FreedroidRPG started as a Paradroid remake, but turned into something else. “Freedroid Classic” is still available, but I don't know how much development is put into it these days. In fact, I don't know much about it at all, to be honest. Genetic Species was a sort of 3D mashup of Paradroid and Alien Breed on the Amiga in the late '90s. It was one of the best-looking first-person games native to that system, but it needed a pretty beefy machine (a stock A1200 or A500 won't cut it), and even it is twenty years old this year. It's long overdue a remake itself. mcphail There's already been a remake of Paradroid for superior machines: https://en.m.wikipedia.org/wiki/Quazatron . A C64 was never something I could call my own. Neither did I possess an Amiga. I started with a Commodore PC10 8088 and a Nintendo Entertainment System. But I could play lots of those classic games at friends who owned those computers. Later some of the games made it on the NES (e.g. Pirates, Elite or Maniac Mansion) but Uridium wasn't one of them. 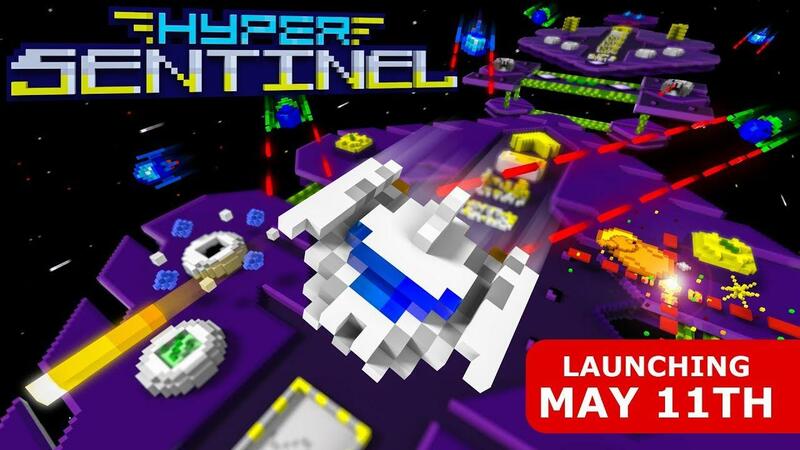 I still remember playing it with a friend on his C64 though, and it was a no brainer for me to kickstart Hyper Sentinel. Very cool of them to chose a console version too, so I played it already equally on a Nintendo Switch and on Linux. That looks really cool! So I _almost_ buy it when I see there's a bundle of their games. Aaannd, now I got Titan attacks and Ultratron as well (already had Revenge of the Titans)... Damn, but Steam is good at selling me stuff. BTW, their new game "Basingstoke" looks really fun too. 3k yen is a little rich for me, but I'll try to pick it up at a sale later on. Oh Uridium... I spent so many hours of my childhood horribly failing at it. Same goes for Zaxxon.